Christian Science Society South Whidbey – Explore the possibilities of prayer. Christian Scientists are a diverse group of people dedicated to living according to the teachings of Christ Jesus. The Christian Science Society of South Whidbey is a branch of the First Church of Christ, Scientist, in Boston, founded by Mary Baker Eddy in 1879. Christian Science grew out of Mary Baker Eddy’s own experiences and her search for a practical spiritual solution to human suffering. Her study of the Bible and Jesus’ teachings uncovered the prayer-based system that made Jesus’ healing work possible. 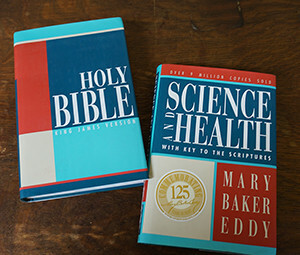 A complete explanation of this Science is contained in Eddy’s book Science and Health with Key to the Scriptures. Christian Science is much more than a system of health care. It is a way to draw closer to our loving Father-Mother God and to see His/Her love expressed in our lives in practical ways. Christian Science is sometimes mistakenly confused with Scientology, faith healing and New Age practices. It is none of these. Christian Science is based on the teachings of Christ Jesus. We find the inspired word of the Bible and the textbook of Christian Science are invaluable tools to help us understand God as divine Love and our relationship to Him/Her as a beloved child. You are welcome to join us each week at our Sunday Services and for our Wednesday testimony meeting on the 1st Wednesday of each month. Learn more about our church services.